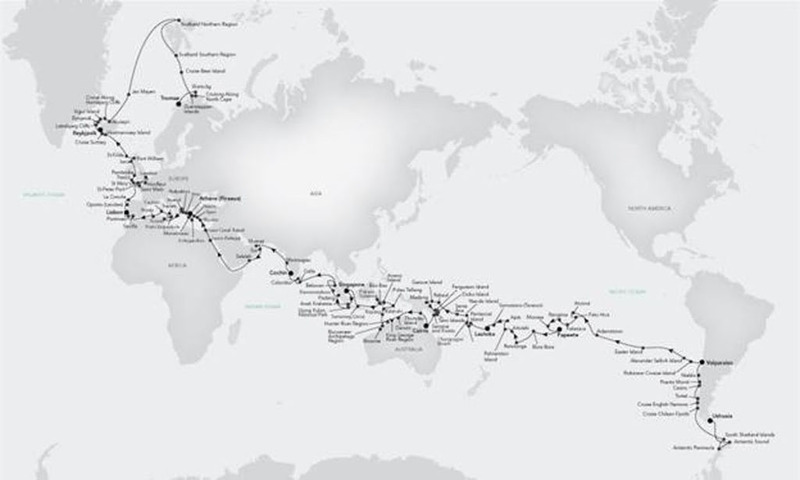 Silversea Cruises continues to push boundaries with the announcement of two pioneering World Cruises in 2021, including the world’s first ever Expedition World Cruise. Offering distinct sets of experiences and differing ways to discover our planet, the two World Cruises will enable Silversea’s guests to travel deeper into the world’s authentic beauty on their own terms, as they cruise in superlative comfort. January 30th marks the opening of an exclusive pre-sale to world-cruising guests of 2019 and guests booked on the World Cruise 2020. Sales for the two World Cruises 2021 will open to the general public in March 2019. For connoisseurs of travel who wish to get closer to the authentic beauty of the world at a relaxed pace, enjoying the opportunity to form deep connections and savour experiences over time, the 2021 World Cruise beckons. Referred to as the ‘Finest World Tour,’ this 54-port, 150-day, 34-country itinerary will begin with the departure of Silversea’s Silver Whisper from Fort Lauderdale on January 7, 2021, and will conclude in New York on June 6. For the World Cruise 2021, world-cruising guests will both embark and debark in the USA, having travelled around the planet. *Available from selected gateways/countries. Non-use air credit available for other countries. **Limited internet access in Antarctica. ***For USA, Canada, UK, Germany, Australia only. *Available from selected gateways/countries. Non-use air credit available for other countries. **For USA, Canada, UK, Germany, Australia only.